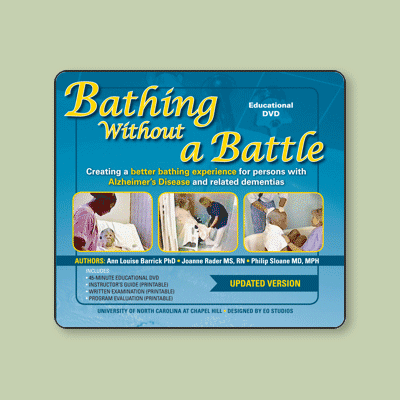 Bathing Without A Battle on DVD is a valuable learning tool for families who have been affected by Alzheimer’s disease and related disorders, as well nursing home personnel. 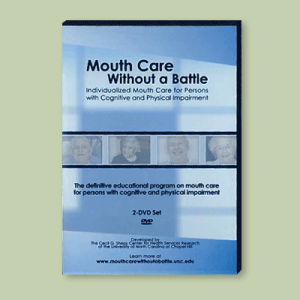 The Bathing Without A Battle CD-ROM offers instruction and advice on personalized bathing and is useful for all nursing home personnel. The CD-ROM provides 3 hours of continuing education credit for nurses and 2 hours of credit for nursing home administrators and nursing assistants. 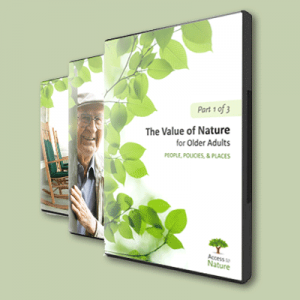 Bathing Without A Battle on DVD is a valuable learning tool for families who have been affected by Alzheimer’s disease and related disorders, as well nursing home personnel. 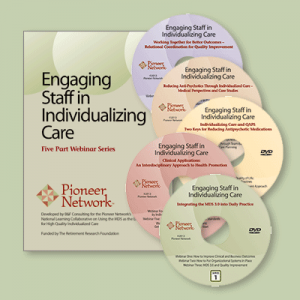 The video provides 1 hour of continuing education credit for nursing assistants. 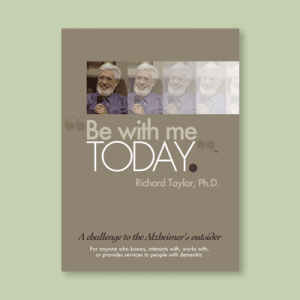 The Bathing Without A Battle CD-ROM offers instruction and advice on personalized bathing and is useful for all nursing home personnel. The CD-ROM provides 3 hours of continuing education credit for nurses and 2 hours of credit for nursing home administrators and nursing assistants. The CD-ROM has been formatted for use with most Windows systems. The CD-ROM provides 3 hours of continuing education credit for nurses and 2 hours of continuing education credit for nursing home administrators and nursing assistants. To obtain CEU credit, watch Module 1 (Introduction) of the CD-ROM. Select the appropriate track for you (administrator, nurse, or nursing assistant). You will then be directed through the other modules of the CD-ROM. At the end of the CD-ROM complete the multiple-choice examination. You must score at least 70% correct to pass. Follow the instructions on the CD-ROM and print out a personalized credit certificate on your printer. Mail the certificate to the registration office whose address will be printed on the certificate. Certificates MUST be mailed to have CEU credits registered. The videotape provides 1 hour of credit for certified nursing assistants. To obtain CEU credit, watch the video and then print out the registration form and complete with each participant’s name, social security number, and date video was watched, and mail to the registration office.